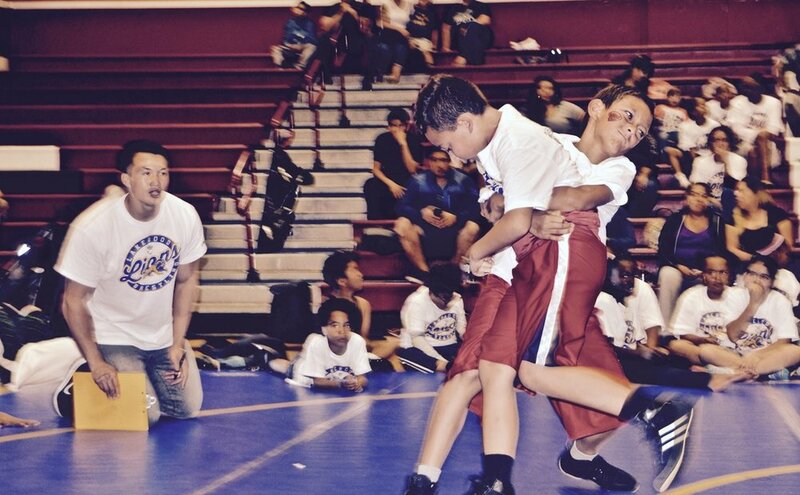 Empowering youth through the sport of wrestling. Beat the Streets Bay Area was founded on the premise that everyone should have access to wrestling, and the life lessons the sport provides. With a focus on underserved communities in the Bay Area, our programming offers experiences that foster skill and character development, team-building, commitment and ownership. Want to get involved? Donate or volunteer today. Come get some Folkstyle in at the BTS Bay Area Folkstyle Championships for only $11 pre reg and $15 at the door. Our programming at Westlake Middle School has begun. Helping out one of our own! BTS Bay Area Conference Call. The Board is set. BTS Bay Area steering committee member Kevin Dunn working with Castlemont High School in Oakland. The 5th annual BTS Los Angeles Benefit and International Competition will be taking place on Sunday March 31st. BTS Bay Area at the NCAAs! The trainings and hospitality offered by BTS National created an environment of collaboration that is unique to this organization. Together we will have a greater impact. Monday we held a take down challenge at Westlake Middle School. Students had the opportunity to take down administrator Moses Omolade and assistant coach Denzel Mabry. A good time was had by all! Congrats to Coach Jason Welch and SF State Wrestling on two NCAA DII All-Americans this year. Jordan Gurrola at 133 lbs and Justin Pichedwatana at 184 lbs.